Leon Cooperman has exactly two months left to avoid registering losses for the second straight year. Omega Advisors, the hedge fund founded by Cooperman back in 1991, had lost 7.6% from the beginning of the year through October 16, after suffering a loss of 2.1% in 2014. Even so, Omega Advisors has delivered a cumulative return of 1,536% since its inception, compared to 689% delivered by the S&P 500 over the same time span. This yields an annualized return of 12.5% for the hedge fund, beating the 9.1% gains registered by the S&P 500. Earlier this month, Omega Advisors conducted an investor conference call, where it reaffirmed its investment philosophy, and presented its performance, and top stock picks, among other things. Moving on to the underlying purpose of this article, we identified five cheap stocks in terms of forward P/E owned by Omega Advisors as of October 16. Even though the letter does not disclose the exact number of shares held by the hedge fund, it does reveal the portfolio composition of these positions. Tribune Media Co (NYSE:TRCO) represents Omega Advisors’ 15th-largest position as of October 16, accounting for 1.9% of the hedge fund’s assets. 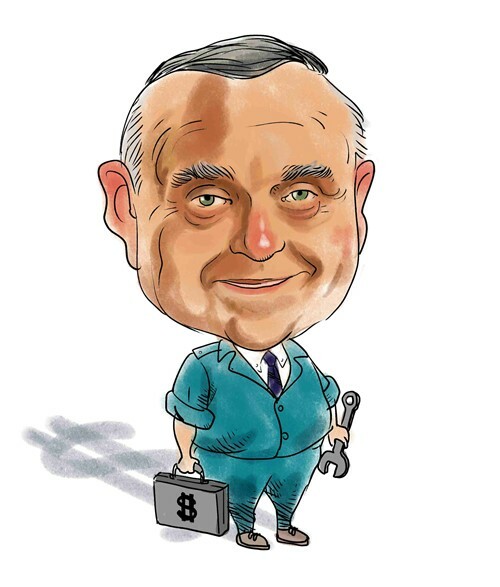 Leon Cooperman’s investment firm owned 2.45 million shares in the media and entertainment company on June 30, which represented 2.09% of its portfolio, according to the 13F filing. The shares of the company have lost nearly 33% during the September quarter, and the forward P/E estimate is not alone in suggesting that the broadcaster is greatly undervalued at the moment. Ryan Fiftal, analyst at Morgan Stanley, has assigned Tribune Media a sum-of-the-parts value of $46.50 per share. The company is set to release its third-quarter earnings report on November 10 before the market opens, which will shed some light on its future course. Howard Marks’ Oaktree Capital Management owned 14.15 million shares of Tribune Media Co (NYSE:TRCO) at the end of the second quarter. American International Group Inc. (NYSE:AIG) made the list of Omega Advisors’ largest five holdings as of October 16, and represented roughly 2.6% of the firm’s assets. The hedge fund firm reported an ownership stake of 3.40 million shares in AIG through the 13F for the June quarter. The stock lost 7% during the third quarter, but is still 12% in the green year-to-date. Earlier this week, reputable activist investor Carl Icahn published a letter saying that AIG would greatly benefit from splitting its insurance businesses into three independent public companies: property and casualty insurance, mortgage and life insurance. John Paulson of Paulson & Co., who owns 14.60 million shares in American International Group Inc. (NYSE:AIG) as of June 30, reckons that AIG could trade at a price level above $100 per share should the company take this step.